Sylvia Molnar shares rhubarb facts & recipe. Keith Perron has news on Euro2012 hotel price gouging, a new nuclear co-operation agreement with Japan, & bride selling in Ukraine. Irena Bell on Ukraine-Canada twinned cities. Ukrainian proverb, music & more! Drastic actions call for drastic measures, according to James Bezan, Member of Parliament for Selkirk-Interlake. “Canada must send a clear message to the Yanukovych administration that the Ukrainian government’s direct assault on their political opposition is not acceptable and will not be tolerated. In my opinion, it is now clear that a strong signal must be sent from Canada, and hopefully the international community, or the Ukrainian government’s blatant disregard for democracy, the rule of law and human rights will not end nor be reversed." I personally agree with the idea of sanctions against Ukraine, or any country for that matter, whose rulers violate human rights. It's the most practical and effective method of dealing with thugs and mercenaries who take over the reins of power from the people. In private conversations, I have been shot down for suggesting sanctions against Ukraine. The primary argument given to me is that by restricting trade, economic sanctions will just end up hurting "ordinary" Ukrainians. But in reality, how many tickle-down benefits of foreign trade do "ordinary" workaday Ukrainian citizens actually enjoy when their corrupt-to-the-core bureaucracy gets first dibs on all the goodies? Many people think that politics is the route to prosperity and independence in Ukraine, rather than the free rein of free-market capitalism (or the weak facsimile that is the best we have to date). I dunno. Maybe it is. I'm certainly no expert on politics. But if politics is the answer, then care must be taken to not cross the very fine line between helping a country develop ademocracic system, and meddling in the internal affairs of a sovereign nation. Let's be careful what we wish for! The Ukrainian diaspora has a wealth of experience in helping ordinary people in Ukraine survive oppressive governments — and even to triumph personally over them. So why not support economic sanctions while putting that experience to work even more diligently? IMHO, the best way to undermine corrupt rulers is to empower the grassroots. And today, as in the past, there is no reason it can't be done under the noses of the current corrupt regime running Ukraine ... which is so caught up in its own self-importance that it won't notice until it's too late. It wasn't long ago that the Ukrainian people defeated a cabal of political thugs under the slogan "разом нас багатою" (razom nas bahato ... there's strength in numbers). Why not help them to do it again, while the memory is still fresh? "Canada is concerned that yesterday’s conviction of former acting defence minister Valeriy Ivashchenko may call into further question judicial independence in Ukraine," said Canada's Foreign Affairs Minister John Baird upon learning that Ukraine’s former defence minister, Valeriy Ivashchenko, was sentenced to five years in prison..
“A troubling trend is continuing in Ukraine," said Baird in a statement. "Like previous, apparently politically motivated prosecutions, this undermines the institutions upon which a peaceful, prosperous and democratic society depends. Zesty horseradish is a traditional accompaniment for Easter meats such as ham, sausage, pork, and duck. make sure your room is well-ventilated. 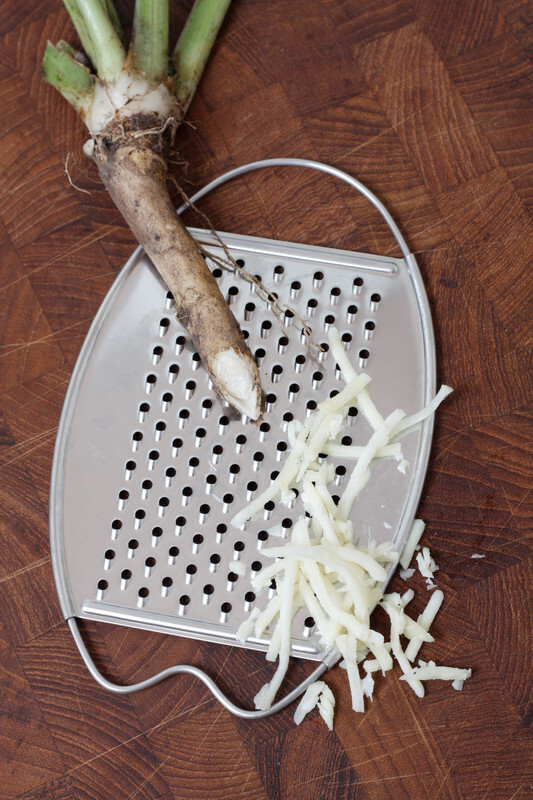 Horseradish is grown for its pungent roots, which are generally grated, mixed with vinegar and salt, and used as a condiment or relish. One tablespoon of horseradish has only 2 calories, is low in sodium, and provides dietary fiber. 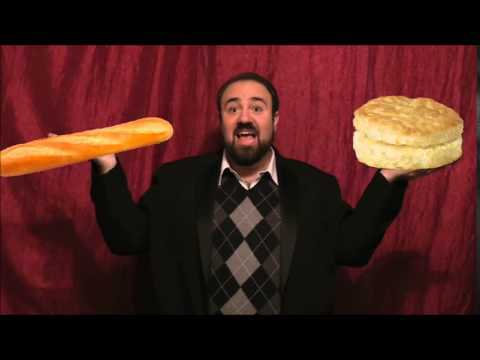 Although it is not clear when horseradish originates, some scholars believe it is indigenous to Eastern Europe. A traditional Ukrainian Easter condiment, it can be enjoyed any time of year. 3. Let stand at room temperature for 1 hour before serving so flavours can develop. 1. Mix horseradish, butter and honey until smooth. 2. Mash eggs with a fork (or process until fine, or put through a fine sieve). 3. Add to the horseradish mixture. 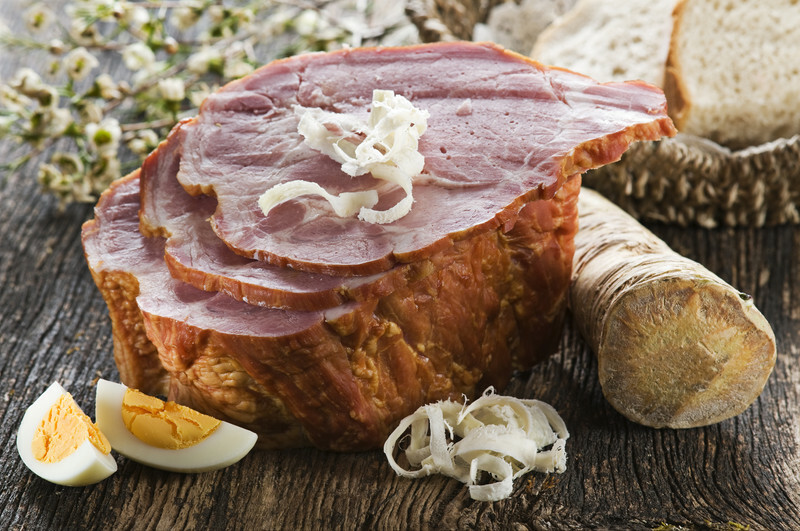 Ham is central to Easter dinner for Ukrainians... along with kovbasa (Ukrainian garlic sausage), studenetz (headcheese), eggs (of course! ), holubtsi (cabbage rolls), noodle casserole, beets & horseradish, and who knows what else! 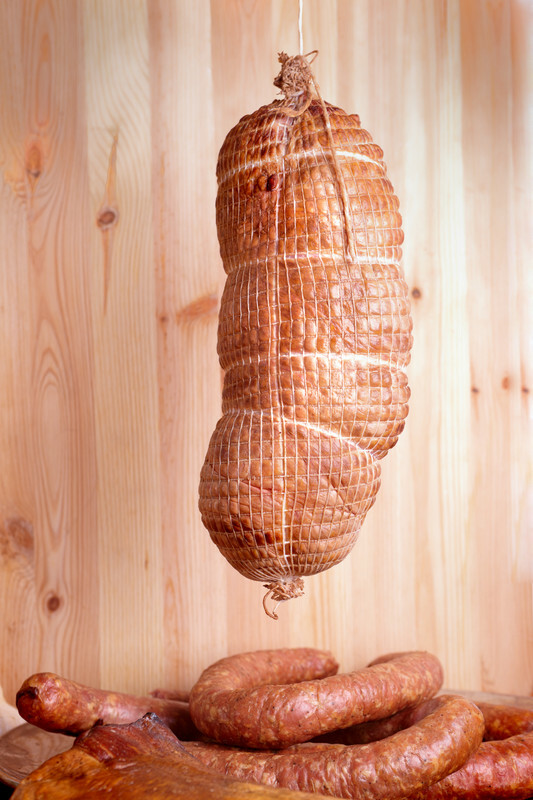 In the old-country tradition, hams were dried and smoke cured, and required special soaking and cooking. I vaguely recall this process from my childhood years on the homestead farm just outside of Arran, Saskatchewan. It was a messy business, especially the soaking in the brine part. But there was always an air of excitement along with the wonderful smell in the air. The hard work was worth the end result: a delicious shynka (шинка), as ham is called in Ukrainian. Today’s commercially cured hams are wetter and heavier, and despite the “ready-to-eat” label do require some additional preparation. Here's Sylvia's recipe which has been featured on Nash Holos Ukrainian Roots Radio and on this blog in the past. This method is ideal for busy cooks preparing an elegant festive meal.